I fully expect this to be the year that I make a little money for my family. Previously, I had used Google Ads…but not effectively…and Amazon. Amazon made me enough to buy a book a couple times a year. Already, with some adjustment of my ads, I am doing much better with them. I am also hoping to do more sponsored posts this year. I’m so glad Danielle introduced me to your blog here. VERY beneficial and encouraging ladies. Thanks! That is so great!! If you ever want to write up a guest post sharing your story, we’d love to hear it. 🙂 I love how we all encourage each other here! I blog comments all of the time but I wasn’t sure that was what I was doing. But overall I get great response to the things I put out. I would love to know how I could get paid because I have fallen on hard times, the internet and is what keeps me sane and my mind off of my world falling apart financially. Could someone please contact me and walk me through this process, please! As a new blogger I am like a sponge trying to figure out how to build my traffic, get guest bloggers, and make money while sharing my passion. My audience is parents of tweens & teens. It is a whole new level of parenting when it comes to smart phones and social media. 🙂 I want to build a community of moms (and dads!) that can share our ups and downs during this phase of virtual parenting. I will be bookmarking your blog to use as a stepping stone to the next level of blogging! Another super helpful post! Thanks so much!! Hi Becky, your posts have been so incredibly helpful. Can I get your permission to print some of your posts FOR MY USE ONLY? haha! I can’t imagine when our 4 little ones are teens… oh boy! Great post, Becky! I have a question about the companies that will pay you to post a blog. Can you register/sign-up with more than one of these companies or is that not permitted? Also, should you be at a certain level of monthly page views or social media followers before you get into that aspect of blogging? What do you recommend? Oh- yes, definitely (sign up for more than one). I am signed up with all of them. I LOVE these tips! You have a wonderful website filled with very well written content! Thank you for sharing! What a great post! You are very kind to share this invaluable info-thanks! If you have a minute to spare I’d be thrilled if you could link up your post to my weekly Say G’Day Saturday party. It has just started and this would be a great addition. Thank you so much for your encouragement. I’ve been blogging for three years now and slowly but surely building my reach. But i do believe that it is time to start monetizing it I just haven’t known where to start. Thanks to this and other posts I now have a better Idea…and more importantly, feel more confident. Thank you again! Thank you so much for this very specific information. I just started blogging a few months ago (after working as a freelance writer for years) and most of the info out there on how to make money blogging is so general or common knowledge. This post was helpful and gives me hope! Egads, this comments makes no sense outside of my head. No worries. Later…I promise 😉 THANK YOU! This blog post was so informative. I will be going over all your posts to find information. I want to start getting paid for my blog and I just don’t sell myself well. It’s something I really need to improve on. I will be taking this advice and implementing it step by step. What kind of thing was it? I find your post really helpful and also given me assurance that I can actually achieve blogging as my part time hobby/job. One thing that concern me is that I’m a terrible writer. I almost failed grade 12 English. Does this stop me from having a website that people will read ? Not at all!! haha!! I’m sure you are better than you are giving yourself credit for.. your comment was great so thats a start! Thanks for sharing this list. I do belong to some of these networks and there are new ones for me that I will definitely check out. 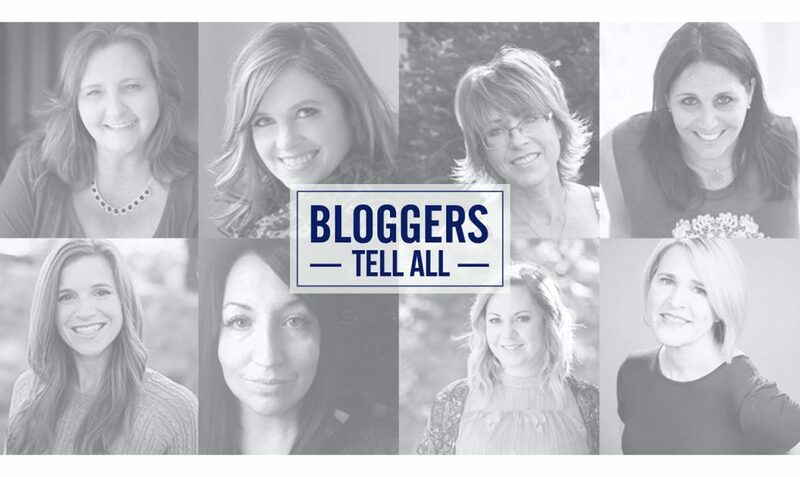 I totally agree that you don’t have to be a huge blogger to make a full time income. My numbers are not huge and I made over $8000 last month. You just got to find what works for you and engage your audience. This is great information for anyone who blogs! I already do some of this, but you have some new ideas here that I will be checking out. In the meantime, I’ve shared this post in several places…thanks for sharing! This is a great series of posts Becky, thanks for sharing. My blog has been live for exactly 28 days now and I am petrified to pitch for a sponsored post or product review. Pinned! I am just starting out, and honestly not very good at this. So, I paused from my blog to do some market/success research and fell across the blog tonight (found via pinterest blogging pins). I have read 4 articles from this site alone thus far. Would you mind sharing a bit about how I would report blog income toward taxes at the end of the year? Honestly, this part scares me a bit as I continue to try to create an monetized blog. I realize it varies state to state – but thoughts? Thanks so much for a wonderful and inspiring post with some really concrete ideas. I wanted to let you (and other readers) know that SocialSpark is no longer operating. Their customer service let me know when I was trying to sign up that it’s now under IZEA. Hi. 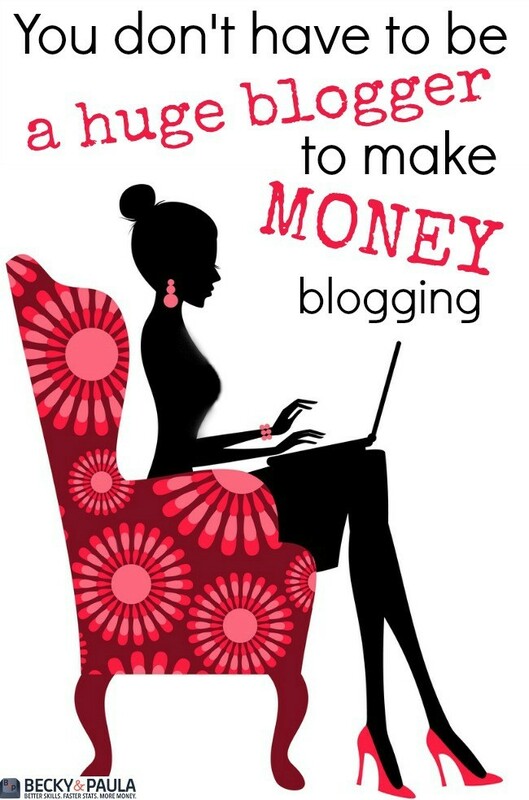 I never knew blogging could be so profitable! I have been a housewife for 5 1/2 years and we have been wanting (for all that time) to start our family. I know I want to be a SAHM and homeschool, but money is tight now and we have been trying to figure out ways to make more money so I can stay home and still pay off debt, but big things we really are in need of, and begin to save. I’ve tried a craft business for the past 3 1/2 years, but have barely made more than I put in for raw materials,and definitely not more than a tiny pittance for all f that time. Reading your blog post here has opened my eyes to a new possibility to accomplish this goal. I enjoy writing (and someday hope to finish my novel) very much. I was an English major in college, and grammar, reading, and writing have always been passions of mine. But all of the various link and ideas are a bit overwhelming at the moment; so much information (which is great, but I tend to get overwhelmed by so many different places to go for information. I’m that person who wants to learn something and then goes and buys 20 books on it and wants to read them all at once then gets overwhelmed.) So where is the best place to start? Perhaps a book? I’m not sure what led me to your sight but it has been a blessing. Thanks for sharing ways to monetize our blog sites. I’ve been blogging for 3 years and have just recently learned how to set up my blog to get more visitors. My writing experience is self-taught and it has become a passion of mine. Most recently I’ve been looking for ways to work at home due to health reasons. I look forward to getting started. Again,thanks for your wonderful posts. What a blessing your post is for me! Thank you for your guidance, which came at just the right time for my blog. I’ve been absorbing as much information as I can since beginning my blog. (There seems to be an endless supply of information out there) Your post organizes and pinpoints what I need to know right now, beautifully. I look forward to more. Thank you so much for this post. Such great ideas. You have given us hope! this is a great post! i had to reshare it. i love the content. Loving your useful site. I am looking to make extra money and leave my job. Becky, thanks for sharing all this useful information! You may want to edit that Kirsten’s free email course is now $397. I’ll have to save up–I’m very interested in it. I do – do you mean to join? You will get approved or declined before they go out. This was an interesting read. I am in the very beginning stages of forming my first blog. I am truly excited to see where this path takes my wife and I. Thank you for sharing your wisdom. Wow! So many ways! And I thought I had to have a much bigger blog! Will look into these today! Thank you for this great post. It can be a bit overwhelming starting out not sure where to go. This post helps a lot to knownin which direction to go. I’m new to blogging and trying to find my way. I love your post. So much information that it’s kind of overwhelming. On of the comments on here said something about needing hand holding. I hate to say it but, I think I’d need that as well. It’s so much that I seem to get lost very easily. I am in the exact same boat as you! Would love some help! Very interesting post! It is full of encouragement for beginners like me that are not so young, but still want do try new interesting avenues for a happy retirement and earn some money on the side! I love this. All of it. I started a blog months ago but it just kind of fell to the way side. But my husband has been begging me to get started on it again, so I’ve been getting some research in. We’re in the process of adoption a little boy with hydrocephalus from Eastern Europe. But we’re hoping that we’ll actually be able to bring home three little ones by Christmas. So that’ll quickly make me go from a mom of one to a mom of four. Plus, there are two more littles that have grabbed our heart and are quickly regressing, so my husband is working extra days so we’ll be able to bring them home next year. I’m hoping this blog will help with, not only the $30,000 we need to come up with by December, but eventually make it to the point that my husband no longer has to work and we can start our farm. I realize that was super long, but once I start sharing I have a hard time stopping. Anyway, the whole point of this was to say thank you for sharing. I’m looking forward to watching my site take off. You just saved me hours of research with your list of companies. Thank you! Your blog title “You don’t have to be a huge blogger to make money blogging” is so inspiring.I am a new blogger and when I came across this post,I felt so motivated after reading the entire post. Thanks a lot to help new bloggers with great ideas. This is an incredible arrangement of posts Becky, a debt of gratitude is in order for sharing. My online journal has been live for precisely 28 days now and I am petrified to pitch for a supported post or item survey. Stuck! I appreciate your posts it is important to know what companies pay bloggers the best. Thanks I hope these will be great companies to work with. Long and confusing at times but I need to go back and go through it with a fine tooth calm and I am sure it will make better sense. I am sure this took a long time to put together and I want to thank you. I so want to be a stay at home mom and as the sole support of my family that was a pipe dream. Now, hope. I am also currently going through cancer treatments. The type of cancer I have, multiple myloma, is chronic which means there is no cure but there is treatment. I will certainly have my career cut short and I want a back up. I am just not a sponge of the system kind of girl. Oh well…thank you again. I am sure this will make better since once I get going! I shared this post with my group of blogging newbies that are looking for more of the traditional methods of making money while blogging. Are you still using many of these methods today? Amazing post! Thank your for the great tips! I’ve been blogging for 6 months, and I didn’t even think of making money from my hobby in the beginning. Later I found out that I could make something from that, but still I haven’t much luck. Maybe because of not the expected traffic, maybe because many of my posts are psychology-advises based and not product oriented. I think for some is very easy, for some is very difficult. The important part is to not lose your passion and stay motivated. We don’t blog only for money anyways. We do it because we like it ! Great blogging tips, I really enjoy your site! This post was so helpful! I’m definitely going to apply to some of the companies on the list and see if I have any luck! I’m really excited to start making money with my blog! I want to focus on passive income but I really want to be a Pinterest manager too so hopefully I’m able to do both within the next 6 months. Wow!!! I’ve rarely been so excited after reading a post. I’m committing to investigate all the links and great ideas shared here. Thank you ladies….I literally just started and I appreciate the enthusiasm! Thanks a ton for the tips! If anyone wants to get with me and share or guest, or collab.. let me know!! Thank you for this article! I just started a blog about a month ago and I am new to everything, learning everything from scratch, trying to teach myself as much as I can. This is one of the first posts that I’ve come across with really great content and resources that I can research -thank you!!! Hi, I see this post was written long ago and is still trending. This is an example of making money online. If we are to be sincere. Writing for the web for a long term uses can be a good source of online money making opportunity. Notwithstanding, I love Affiliate programs because they are the surest ways to make money anytime and any day without being questioned or banned! Tons of beautiful tips in this post! I used to make money with less than 200 views a day. That was just about strategizing on conversion. More traffic only comes in to grow the income but I strongly believe everyone blogging with a good monetizing plan can make money anytime.